Northeast Los Angeles as mapped by the Los Angeles Times. Northeast Los Angeles is a 17.18-square-mile region of Los Angeles County, comprising seven neighborhoods within the City of Los Angeles. 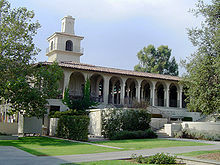 The area is home to Occidental College located in Eagle Rock. The bulk of the area closer to Pueblo de Los Angeles-Downtown Los Angeles was part of the original Spanish and Mexican land grants of Rancho San Rafael and Rancho San Pascual when the city incorporated in 1850. One of the first annexations of the city was Highland Park in 1895. Other nearby communities attached to Los Angeles were Garvanza (1899), Arroyo Seco (1912) and Eagle Rock (1923). Development in the Northeast was fostered by service of the Los Angeles Railway "Yellow Cars." According to the Mapping L.A. survey of the Los Angeles Times, Northeast Los Angeles consists of a 17.18-square-mile region bounded on the south and west by the interstate 5, the north by the cities of Glendale and Pasadena, and bounded on the east by the Arroyo Seco Parkway. Much of Northeast Los Angeles is located on or around the San Rafael Hills. Southwest Museum of the American Indian. In the 2000 census, Northeast Los Angeles had 167,674 residents in its 17.18 square miles, which amounted to 9,757 people per square mile. The densest neighborhood was Highland Park, and the least dense was Mount Washington. About 54% of the area's population lived in rental units, while 46% lived in owner-occupied housing. Highland Park was the neighborhood with the highest rental occupancy, and Eagle Rock had the lowest. The latter district also had the oldest population, and Cypress Park had the youngest. Eagle Rock also was the wealthiest neighborhood and Cypress Park the poorest. Eagle Rock was the neighborhood with the largest percentage of residents holding a four-year academic degree and Cypress Park had the lowest percentage. The ethnic breakdown in 2000 was Latino, 62.5%; white, 16.6%, Asian, 16.0%; black, 2.0%, and other, 2.9%. Eagle Rock was the most ethnically diverse neighborhood and Cypress Park the least. The area is well-served by freeways and public transportation. California's first freeway, the 1940 Arroyo Seco Parkway (CA SR-110) connects the area with Downtown and Pasadena. The Interstate 5 and Interstate 10-San Bernardino Freeway lie directly to the south of the district. The Metro Gold Line light-rail's four stations (Lincoln/Cypress, Heritage Square, Southwest Museum, Highland Park) connects Northeast Los Angeles with Downtown and Pasadena. Johnson Student Center and Freeman College Union at Occidental College. Jackson Browne, singer, songwriter, and musician who wrote and recorded songs such as "These Days", "The Pretender", "Running on Empty". Beck (Beck Hansen), alternative singer/musician.